Musical Therapy is both a collective artist project and label, releasing music made for professional and personal therapeutic use. To meet the requirements of this special project, only selected tones / overtones, layers and minimal drones are used on each CD. 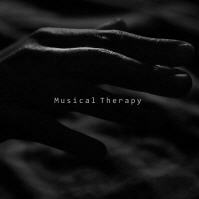 In contrast to other music you may know from our ambient roster, all albums released by Musical Therapy will include only few, but very long and subtle drifting tracks aimed at maintaining a sustained focus, allowing the listener to reach a state of internal release and poise.